The Toronto Star has reported that "Canada’s largest suburb and its sixth largest city will soon charge home owners and businesses for storm water costs based on how much of their property is covered." The tax is a first for the GTA. If you have a very small house that causes little run-off water, you will pay nothing. But if your home is in the highest of five size categories, it will cost $170 in 2016 for your share of the city’s storm-water management costs. It’s an approach that Toronto is also looking at ahead of its 2016 budget process, according to a city spokesperson. 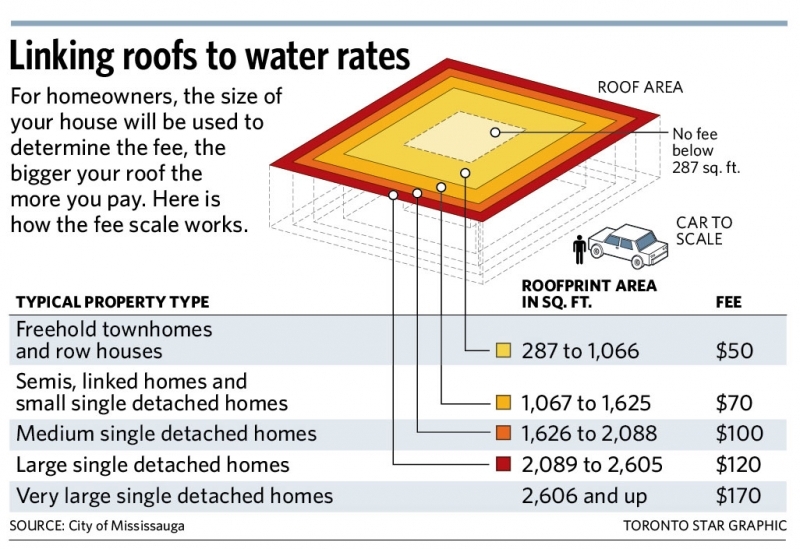 Homeowners will pay anywhere from $50 to $170 and the fee will be included on their Region of Peel water bill, according to the Mississauga News. The new tax was passed unanimously on May 20 and is expected to get final approval next week.